Karlskrona, founded in 1680, is an outstanding example of a European planned naval port of the late 17th century, when naval power was important for Southern Sweden to keep the country together. 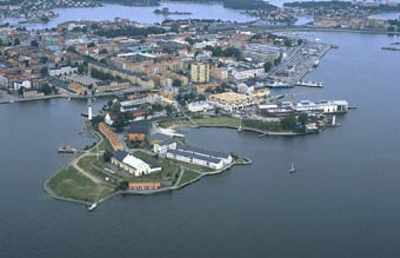 The foremost fortification experts were summoned to Karlskrona to build the most modern and effective naval base Europe had ever seen. Karlskrona received, because of this, great recognition through all of Europe for it’s ship building, architecture, town planning and factory and defense technology.